Hilton Garden Inn links customers to the airport with a complimentary shuttle bus service. The hotel also has its own swimming pool, fitness centre, and business services. 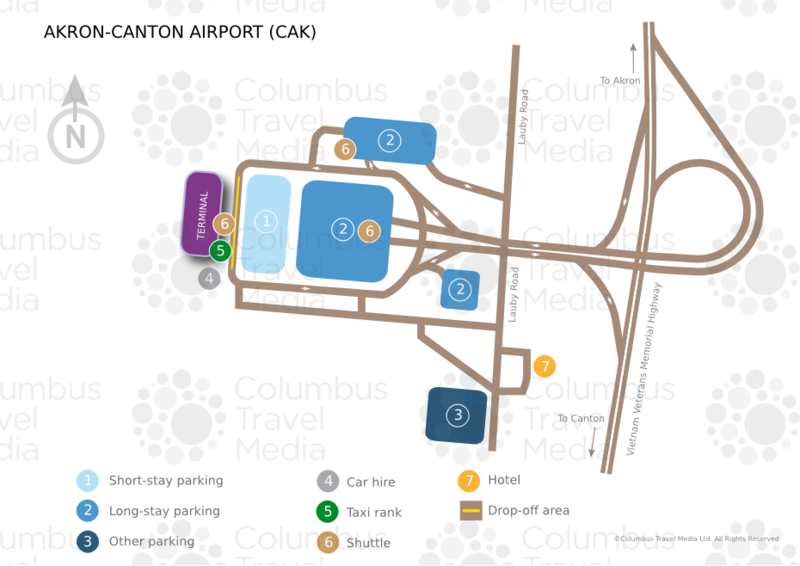 Located a seven-minute drive away from Akron-Canton Airport, the Best Western Plus in North Canton has a fitness centre and swimming pool for guest use. Other services include free parking and a complimentary transportation services to and from the airport. Microtel Inn North Canton is situated a short distance from Akron-Canton Airport and offers free Wi-Fi internet access and complimentary car parking, as well as a gym and indoor pool. Breakfast is also included in the room rate.